Wolf Commercial Real Estate (WCRE), a leading South Jersey commercial real estate brokerage firm that specializes in Cherry Hill commercial real estate, is offering premier South Jersey medical space for sale or lease at 1910 East Route 70 Cherry Hill NJ. This Southern New Jersey medical office space for sale or lease is located in Unit 3 at 1910 East Route 70. There is 1,480 sf of prime Cherry Hill medical space for sale or lease at this location, with an adjacent 780 sf suite available. 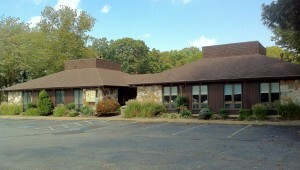 This South Jersey medical office space for sale or lease is available for immediate occupancy. The asking sale price for this Cherry Hill medical space is $235,000 and the asking lease price is $18.00 sf/ gross plus utilities and janitorial. There is abundant parking at this Southern New Jersey medical space for sale or lease at 8/1,000 sf. This Cherry Hill medical office space for sale or lease at 1910 East Route 70 is a fully finished medical office suite fit-out with exam rooms, waiting room, billing area and private offices. This South Jersey medical space for sale or lease is located in a garden-like professional campus setting. In addition, this Southern New Jersey medical office space for sale or lease is located at the intersection of Route 70 and Springdale Road in Cherry Hill and offers immediate access to Routes 38, 73 and I-295. This medical space in 08002 is within minutes of the Virtua, Lourdes, Kennedy, Cooper and UMDNJ health system facilities. An average of more than 54,000 vehicles a day drive by this Southern New Jersey medical space for sale or lease at 1910 East Route 70 and there are nearly 55,000 residents living within a three-mile radius of this South Jersey medical office space for sale or lease. For more information about this Cherry Hill medical office space for sale or lease at 1910 East Route 70 Cherry Hill NJ, about other medical space in 08002 or about any other South Jersey commercial real estate for sale or lease, please contact Jason Wolf (856-857-6301; jason.wolf@wolfcre.com) at Wolf Commercial Real Estate, a leading Southern New Jersey commercial real estate brokerage firm.